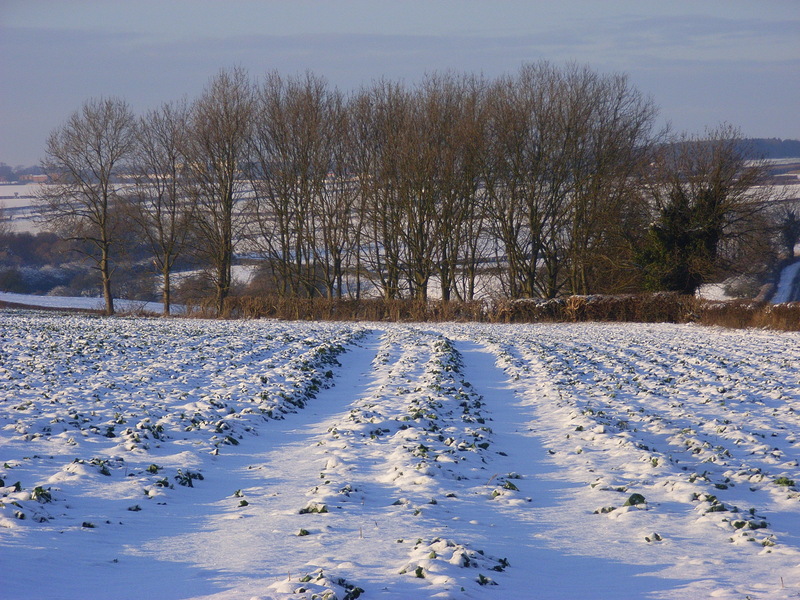 Like much of Britain, Rutland has been hit by the unseasonable snow. First, an update on Rutland weather and driving conditions on this strangely silent Sunday morning: the A6121 Stamford road that joins the A47 was treacherous first thing and an accident on the A47 at the Barrowden turning (by Morcott Windmill) has been causing difficulties. Drifting snow has been creating chaos on the B664 to Market Harborough (farmer towed out friends whose journey this morning took two hours), and the A6003 between Corby and Uppingham is apparently dreadful. The depth of snow is one thing – about 6 inches judging by my village, but the bitter wind has swept some areas almost bare only to create impressive drifts elsewhere. Most people are leaving the car at home and staggering to the village shop – where they still exist – on foot. Nothing shall separate the Rutland resident from his Sunday papers… Dogs are out and about wearing woolly jumpers (oh, maybe that’s just mine…), loving the snow and bounding around in it. The village phone lines are humming, because old ladies have had to miss out on their Sunday-morning-after-church-gossip and make do with the electronic telegraph. So, a day for a warming roast dinner, a brisk walk and an afternoon in front of the fire … not exactly the first week of Spring is it?